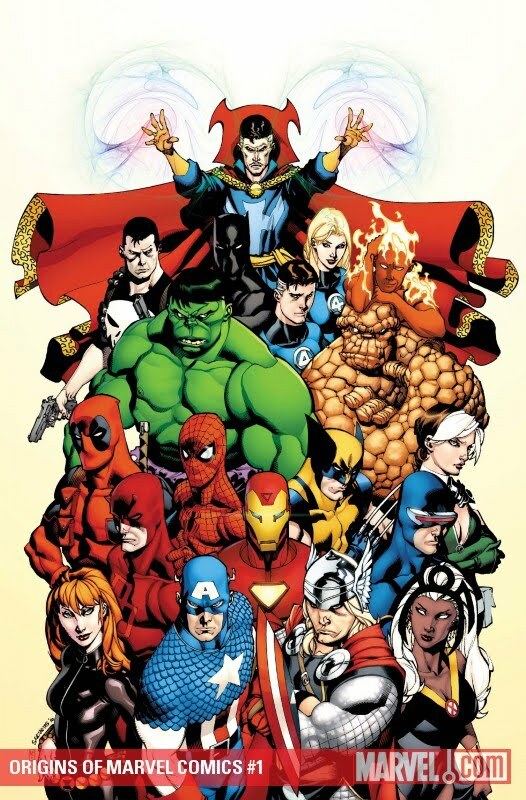 An all-star lineup of creators brings you the origins of Marvel’s greatest heroes! Short, accessible origin stories, all drawn by a roster of the hottest artists, including John Romita Jr., Leinil Francis Yu, Alan Davis and MORE! From the Avengers to the X-Men! From Iron Man, Thor, the Fantastic Four and Spider-Man to Hulk, Deadpool, Black Widow and the Punisher! They’re all here!